Part of the brand's 'Definitive' family of superior stands, this is a great sound isolator. Also available in 3 shelves and 4 shelves options, choose from a selection of understated hues. 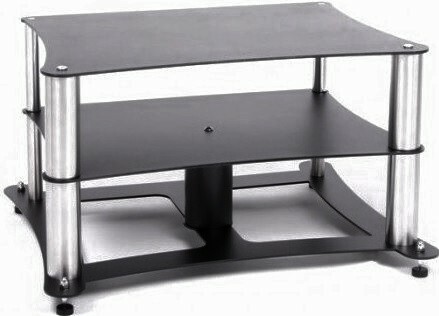 - Material: 6.5mm acoustic aluminium. Custom Design Definitive Hi-Fi Stand (2 Shelf) is the two shelf option in Custom Design's family of 'Definitive' hi-fi stands. Like the 3 shelf and 4 shelf options, the 2 shelf stand is also crafted from exclusive and hand finished 6.5mm acoustic aluminium. This material encapsulates Custom Design's pioneering mindset to combat unwanted and unnecessary resonance, which truly enhances this model over other hi-fi stands. 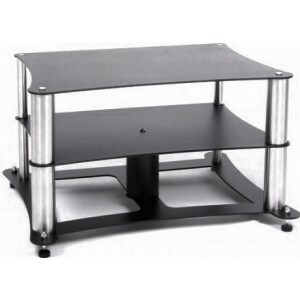 Exquisitely crafted and sleekly appealing, this 2-shelf hi-fi stand will add the finishing touch to your hi-fi set-up. With two sheets of the same materials, which is the most efficient ratio, the sheets are stuck together using the brand's patented polymer system. As a result, the isolation system operates via constrained layer dampening. Kinetic energy is converted to heat thanks to the viscoelastic properties of the polymers. This prevents resonance from ruining the performance of your set-up, so your sound performance is clear, separated and the bass is controlled.